There are hundreds of treadmill mats you will have to choose from when shopping. As a result, we have made it easier for you to select by reviewing 5 of the best treadmill mats that are actually worth buying. The Stamina Fold-to-Fit mat is the best option for you if you are looking for an equipment mat that is easy-to-fold. You can also use it for any type of treadmill. That’s not all; the Stamina Fold-to-Fit Folding mat is compatible with many other pieces of work-out equipment like stationary bikes, ellipticals, inversion tables, weights and more. It features a pebble-like surface that will protect your floors. The mat is made in a closed cell form that enables it to handle heavy weight. 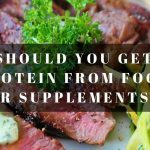 It will also prolong the life of your workout equipment by preventing the fibers from your carpet from getting into contact with the moving parts of your workout machine. The Stamina Fold-to-Fit will also protect your exercise equipment from dust. Measuring 84-inch by 36-inch (L x W), the mat is large enough and will do a perfect job at absorbing all the sweat while you are working out. 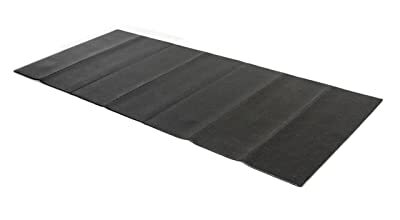 If you would like to unfold mat and store it at the end of your workout session, then this Stamina Folding Equipment Mat might be ideal for you. Its foldable design makes it easy to store hence taking less space. You can keep the mat under your couch or your bed. This mat also has good sound-absorption properties so that you won’t have to worry about your noisy treadmill anymore. Suitable for all types of floors including slippery wooden floors and even smooth carpets. Effectively absorbs noise from your workout equipment. Can easily fold it and store it underneath any furniture. 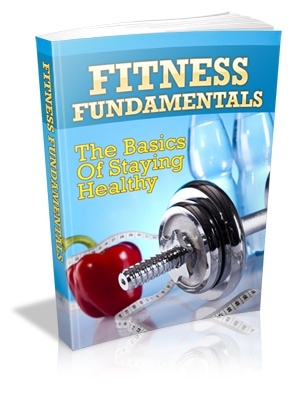 Perfect for use with all types of exercise equipment. Customizable size due to its 7 folding sections. May get slippery when wet. 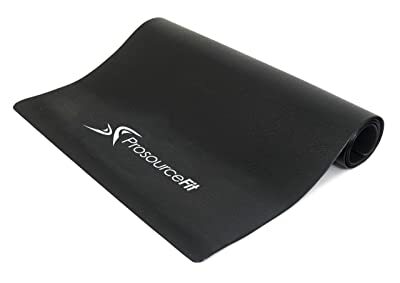 If you would like to protect your gym floors from dents, scratches and wear and tear due to the weight of your heavy workout equipment, then the ProSource Fit is a must have for you. 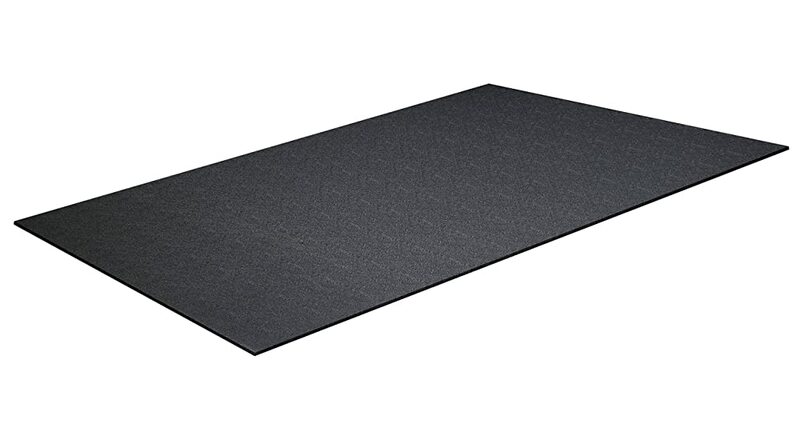 The mat is made of durable and lightweight materials to make the mat last with you for a long time. Its slip-resistant surface will keep your cardio machines in place by preventing them from moving around. The mat measures 6.5 inches by 7 inches making its size ideal for your home fitness equipment. You can thus use this mat with all your exercise equipment from your treadmill to your stair steppers and spin bikes. What we liked about the ProSource Fit Treadmill Mat is that laying it down on your floor is very easy. You can use it on all floor types from tile floors to hard floors and even carpeted floors. You can also use it as your yoga mat. You can easily fold it up when you want to store it. It is divided into seven sections that are 12-inch wide. If you have workout equipment with a smaller base, you can fold it over so that it can fit the size you need. Protects hard floors and carpets from getting damaged by gym equipment. 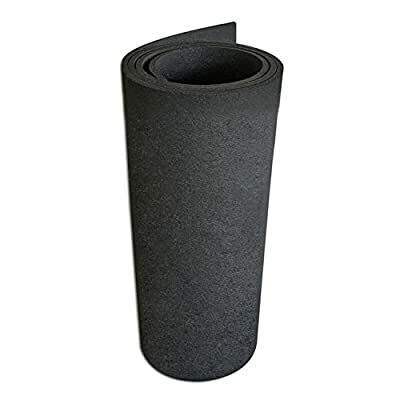 Made of dense material to absorb noise and vibration from cardio equipment. Wide enough to cover the base of large equipment. Durable since it is made of high impact slip-resistant PVC. The Rubber-Cal mat can be a vital addition to your gym, whether you have a commercial gym or a home gym. When you own a treadmill, you will realize that you cannot make the most out of it without a treadmill mat. 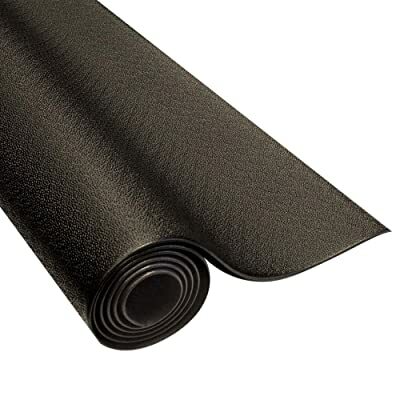 This Rubber-Cal Mat is highly recommended for use with treadmills and other workout equipment. The Rubber-Cal is made of recycled rubber to give you a mat that is eco-conscious, durable and tough. The mats come in multiple sizes so you can have options of choosing one that will match your treadmill model. The mat will create a high-quality functional barrier between the machine and the floor. Another feature that makes the Rubber-Cal Treadmill to be among the best treadmill mats is its quality noise reduction abilities. Gym equipment such as treadmills always produces noise and vibrations as a result of the motion of their surfaces. The 3/16-inch surface made of recycled rubber is strong and capable of absorbing noise and impacts. Its thick-rubber surface does not only function to reduce noise but also provides outstanding protection to your floors. Vibrations produced by treadmills may damage the delicate tile flooring surfaces. 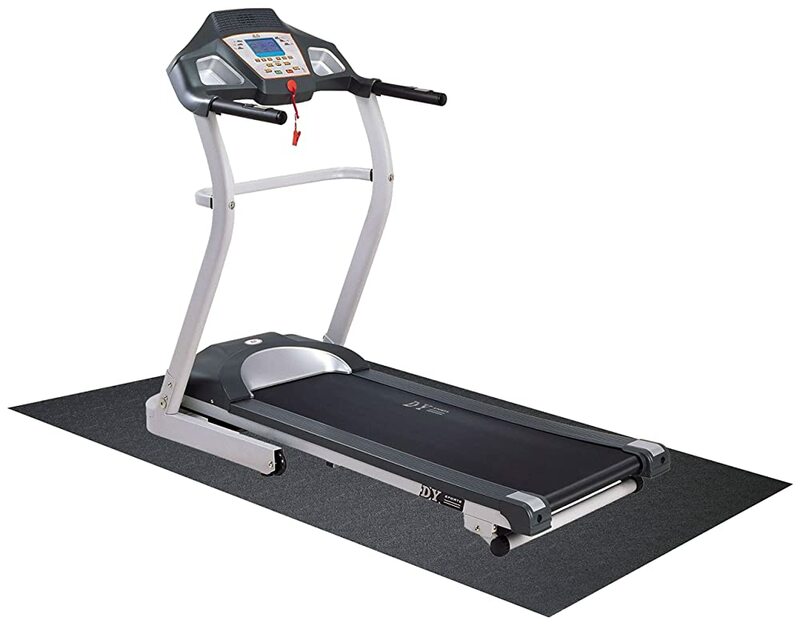 Available in a variety of sizes to support different sizes of treadmills. Capable of keeping your exercise equipment in place due to its anti-slip capabilities. Made of 100 percent recyclable rubber hence suitable for use in abrasive environments. Are you on a budget and not ready to sacrifice on the quality of your treadmill mat? BalanceFrom GoFit is the best option for you. It is a high-density mat and is made of PVC materials. As a result, it is a versatile treadmill mat that you can use in your gym with all sets of workout equipment. BalanceFrom mat comes in two types; the foldable and the regular mat. If you want flexibility, then you will like the foldable type. With a foldable mat, you can carry it with you to your yoga classes apart from using it underneath your treadmill. 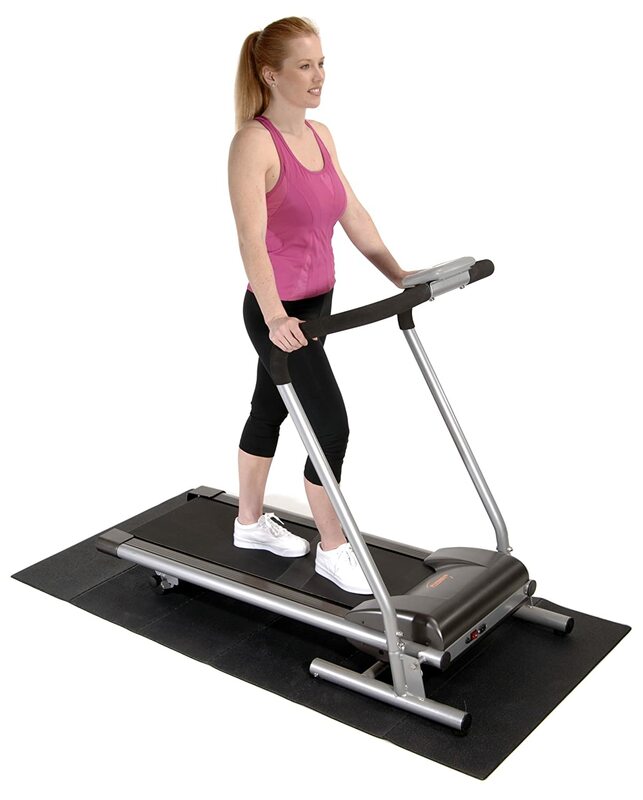 The BalanceFrom Treadmill is wide enough making it the perfect size for the most modern exercise equipment. Due to its high-density, the mat is capable of protecting your floor, regardless of its type, from damages that may be caused by your heavy gym equipment such as the treadmill. You can easily clean it with soap and water since it is made with a moisture resistant technology. The rigid patterns on both sides of the mat give it an anti-slip property that makes it unable to slide while you are using it. Measures 3 feet by 6.5 feet hence large enough for most treadmills. Can use with other workout equipment. Capable of absorbing vibrations and noise that are produced by the machines. The design will keep your machines in place by preventing them from slipping. When buying it, air it out for a while in fresh air to remove the chemical stink from it. The mat is of high quality and is eco-friendly. The RF36T mats are not only great for use under treadmills but can also be used with ellipticals and Bikes. The mat acts as a buffer between your workout equipment and your floor. The Body-Solid Tools Treadmill helps to reduce noise and to keep dirt and dust to a minimum. It also has anti-slip capabilities that will keep your workout machine from “walking” itself across your floor as you exercise. 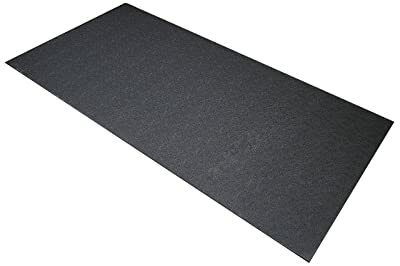 The other good thing about this mat is that it will absorb the vibrations that would normally make your equipment to wear and tear quickly. Designed to protect the floor or carpet from scratches and dents. Capable of handling the heavy weight of the treadmill and your other gym equipment. Keeps dirt and dust from getting into contact with equipment. Absorbs the vibrations that may cause wear and tear to your equipment. Size suitable for treadmills and ski exercisers. The surface may break if placed on a rough floor surface. Here are a few important factors that you need to carefully consider before you buy your treadmill mat. The size of your treadmill mat is the first spec that you should look at. It would be a waste of money to buy a treadmill mat that is smaller as compared to your treadmill. To get the right mat, you should first measure the size of your treadmill. You should then buy a mat that fits your equipment. It’s always recommended to buy a mat that is bigger than your exercise machine. 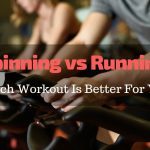 The type of gym floor may vary depending on where you keep your treadmill or the type of lifestyle that you are leading. If you are using your treadmill on a carpeted floor, then you should buy a mat that is suited for carpets. If the floor underneath your equipment is concrete or hardwood, you need a treadmill mat for hardwood floors. Fortunately, for these top treadmill mats that we have reviewed, you can use them for all flooring types. You will be much happier with a treadmill mat that you can easily roll or fold up into a compact package. You can easily take the mat to your outdoor gym, group class or to the park. You will also have an easy time storing the mat after use in small spaces. Since you want a mat that will protect your floor or carpet from scratches as a result of the heavy weight of your treadmill, its thickness is important. The mat needs to be thick enough to prevent your treadmill and other workout equipment from damaging your floor. Treadmill mats are made of different materials and this affects their functionalities and durability. We recommend that you go for a mat that is made of waterproof materials. You want a mat that will keep your floor dry and in good condition. Rubber mats are, therefore, the best. They will prevent sweat and accidental water spills from making your floor wet. You will also have an easy time cleaning your water-resistant mat since all you will need is a damp cloth. Your treadmill needs to be stable during your exercise if you want to make the most out of it. This can only be possible when your treadmill mat is dual sided. A good treadmill mat should have a smooth surface on one side and a non-slip surface on the other side. The rough surface improves grip to prevent slipping during workouts. Treadmill mats are mostly made of 3 common materials. These materials are rubber, foam, and PVC. However, the most popular treadmills are usually made of rubber. The main reason why rubber is the most preferred because rubber is water resistant, durable and flexible. Although PVC mats are sturdy, they are not as thick or study as rubber mats. Foam mats, on the other hand, are soft and are easily compressed by heavyweights. Some treadmill mats may have some strong smell. The odor is usually an indication of low quality and cheap materials used to make these mats. You may find it unbearable to work out on a treadmill mat with a strong smell. When your mat is still new, you may be forced to leave your window open to get rid of the odor. Whether you are working out on your treadmill or any other gym equipment such as a bike, elliptical. You should always have a quality mat underneath. Although these exercise mats are marketed as treadmill mats, they are versatile and can offer you a lot of benefits with any exercise. Here are some of the benefits of investing on a treadmill mat. It’s good to work out at home. However, you will want to minimize noise from your rattling gym equipment as much as possible so that you don’t irritate your family members. Using a treadmill mat underneath your equipment is a simple solution to reduce noise. An exercise mat will absorb the noise and vibration to give you a whisper quiet gym session. Using heavy exercising machines like treadmills will definitely create some impact that can damage your floor or carpet. A treadmill mat will help to reduce the impact hence protecting the floor from getting damaged. The mat will absorb the shock hence protecting your floor from scratches. Treadmill mats are designed for use on all types of surfaces to offer your workout machines with a stable base. 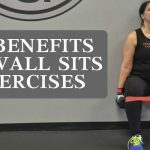 You want to be comfortable and safe even when doing the toughest exercises. Having one of these high-quality mats under your treadmill will offer you the added stability that you need. The treadmill mats usually feature waterproof materials. This will help to keep your floor dry throughout by preventing accidental water spill or sweat from getting into your gym flooring. The waterproof mats also protect your treadmill from humidity that originates from the floor. Apart from protecting your floors from damages caused by the vibrations of the treadmill, a mat will also protect your treadmill from damages. The mats protect exercise equipment from wear by preventing carpet debris and dust from getting into contact with the mechanical parts of your treadmill and damaging it. A treadmill mat is a good investment since it will help to prolong the life of your treadmill and other fitness equipment. If you have a commercial gym or a home gym with multiple machines, you can achieve a professional and clean look by having all your equipment on the same mat. If you have set up a gym at home and you still haven’t bought a treadmill mat, then you should purchase one as soon as you can. You can choose the best treadmill mat of your choice from the list that we have reviewed for you. When it comes to our pick, we would recommend the Stamina Fold-to-Fit mat for you. What we liked about is that it is suitable for use on all types of floors and can be easily folded for easy storage. It is also large enough to fit any treadmill size. 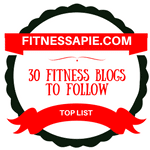 We hope our list of the best treadmill mats was useful to you.